For this challenge, the CAS-ual Friday Challenge #135, I was to use felt and sequins. It is really fun to cut felt with dies–at least when you’ve got good felt. 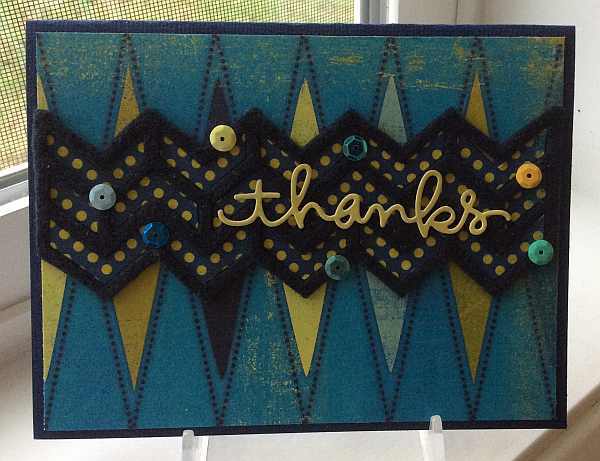 I hadn’t tried it with this Tim Holtz chevron die, but it worked well. I then used the same die to cut some polka dot paper and fit the inner pieces into the felt openings for a pretty interesting combination. 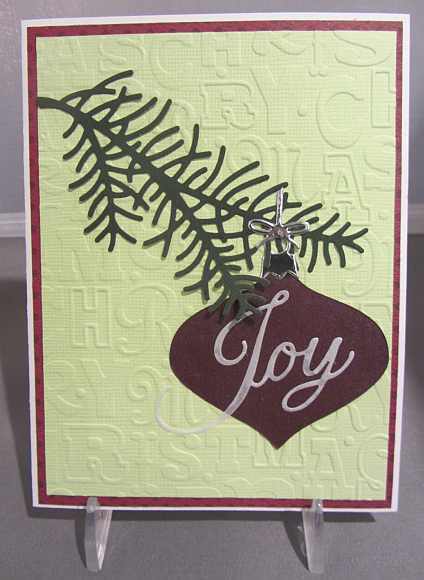 The polka dot paper coordinates with the harlequin paper in the background. Then I adhered some well-matched sequins from my stash to add some interest. I chose another die cut for the sentiment, making it in a contrasting color so that it would stand out enough to be legible! Lots of angles! Thanks for visiting. I really like to use the color gray in design. It is a neutral with so many possibilities. This week’s CAS-ual Friday challenge (CFC129) is to use at least two shades of gray in a clean and simple project. I have used several different colors of gray (one silver-y gray!) cardstock and there are grays in the patterned paper also. I gave this card to my husband for our 20th wedding anniversary, which we celebrated yesterday. Thanks for stopping by. 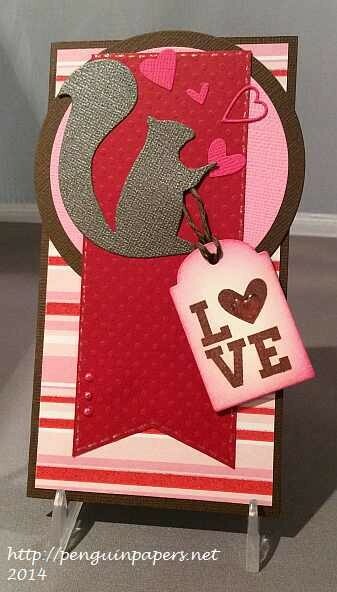 It is always good to incorporate a squirrel into any card! This Valentine is for my son, who is rather fond of these furry creatures. This design, which I made up as I went, is pretty fun with some of the elements extending over the edge of the card base. CAS-ual Friday Challenge #127 this week is to do just that. 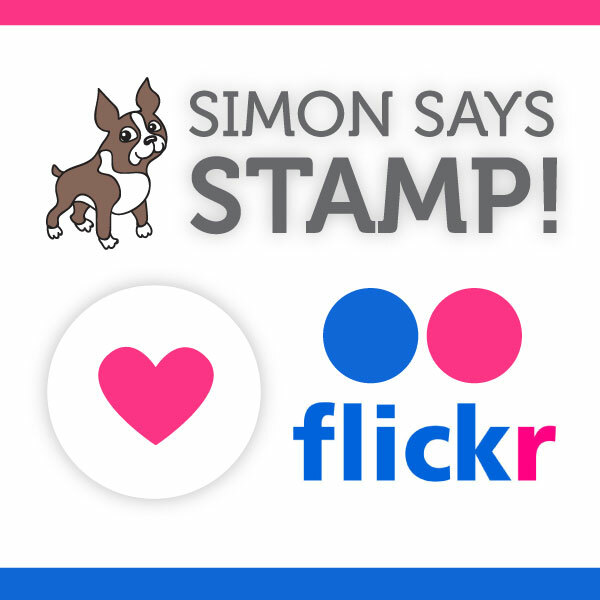 It also is a perfect card for Simon Says Stamp Wednesday Challenge: Have a Heart. I pulled a number of different supplies out of my stash for this. There was glitter and shine in the paper, stickers, and faux stitching that I drew around the edges with glitter pen. The only thing that I hadn’t used before was the patterned paper and the squirrel die. Since I was pretty much snowed-in, I had to use my stash, right? So I guess this is appropriate to post for the Shopping Our Stash Challenge #137: Love Me Tender. Thanks for visiting today. 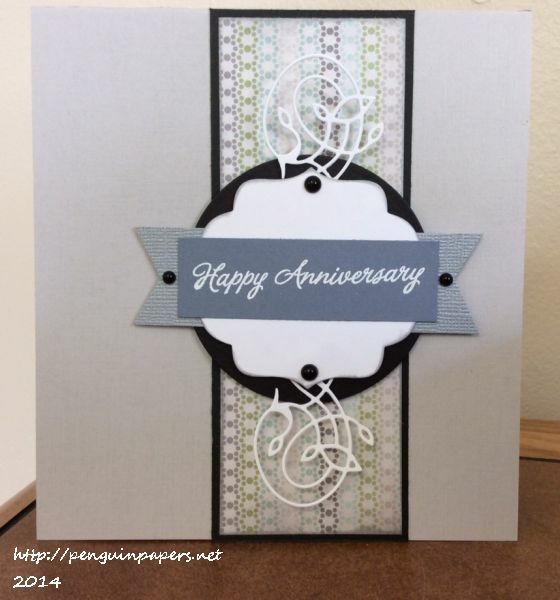 This card is made up of die cuts and embossing–no stamping! Not only that, I combined dies from three different companies, which made it kind of fun! It is also fitting for the CAS-ual Fridays Clean and Simple Challenge #122 “Out on a Limb.” Thanks for stopping by today.